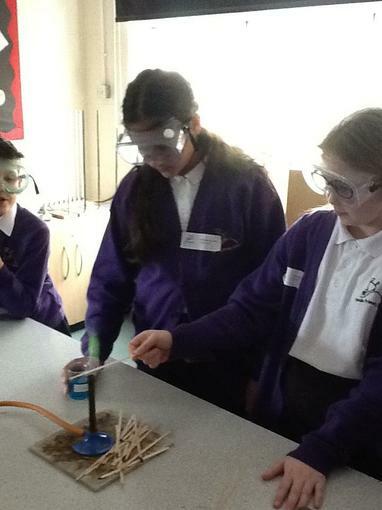 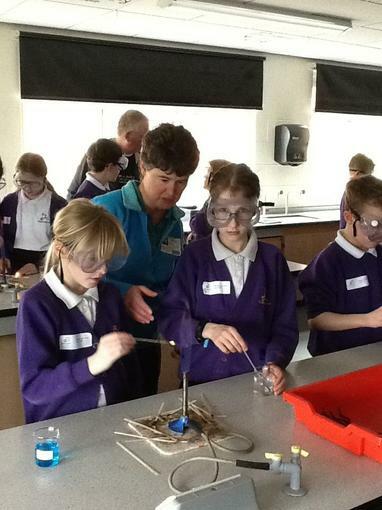 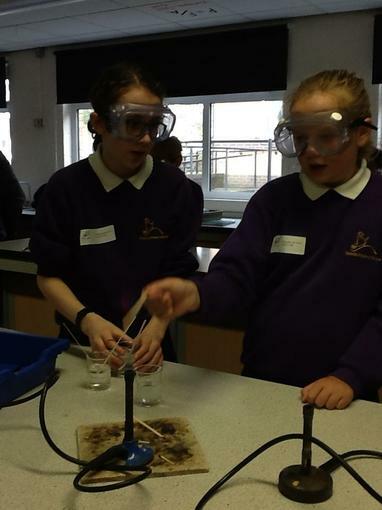 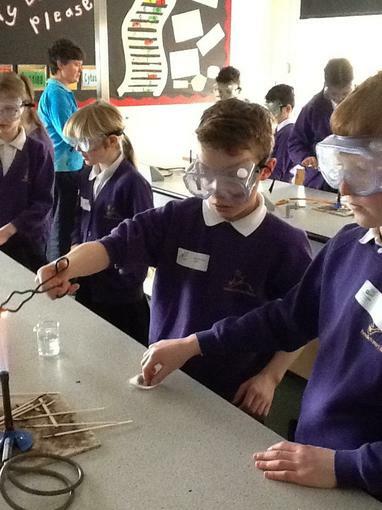 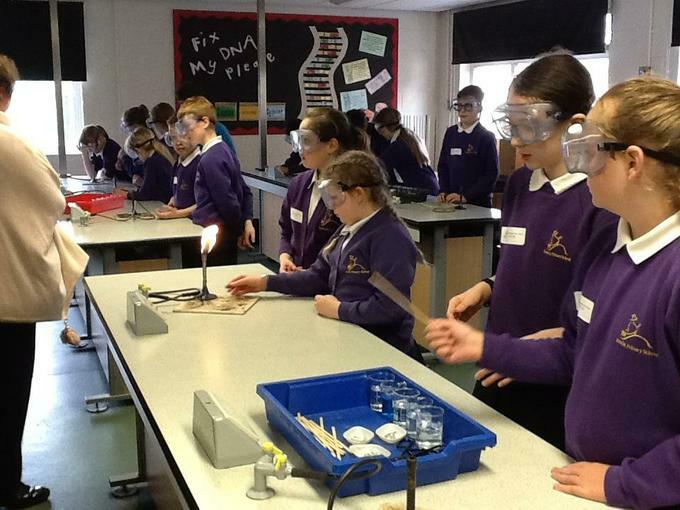 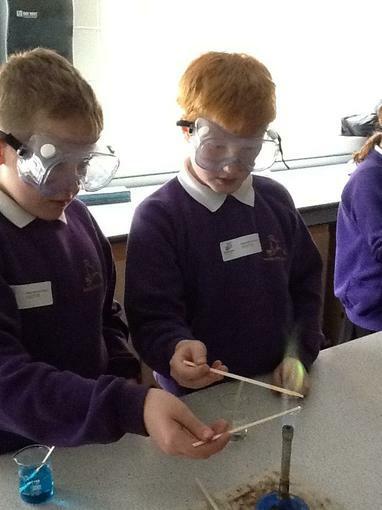 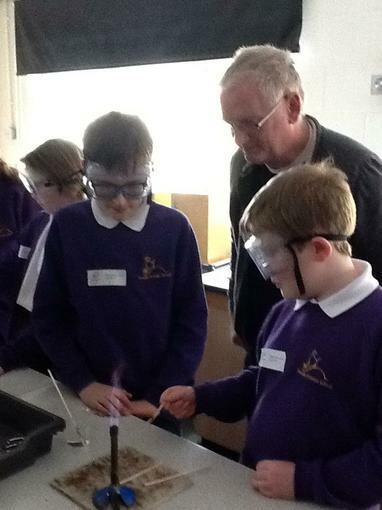 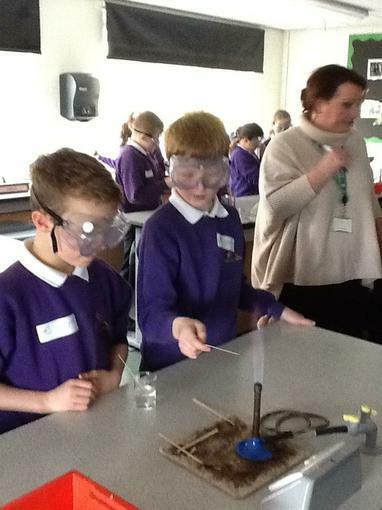 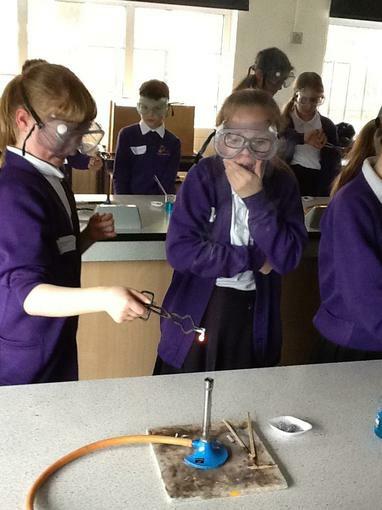 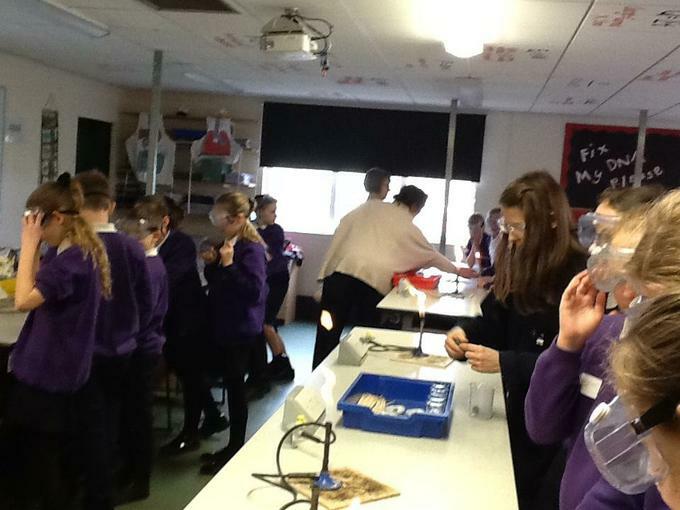 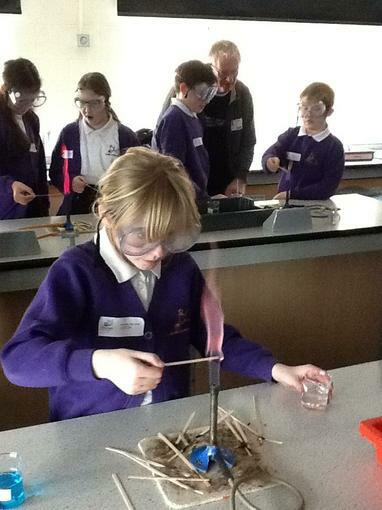 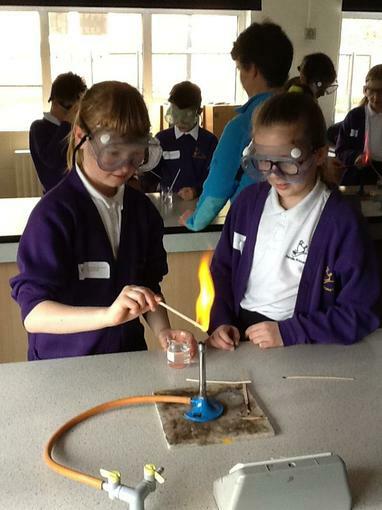 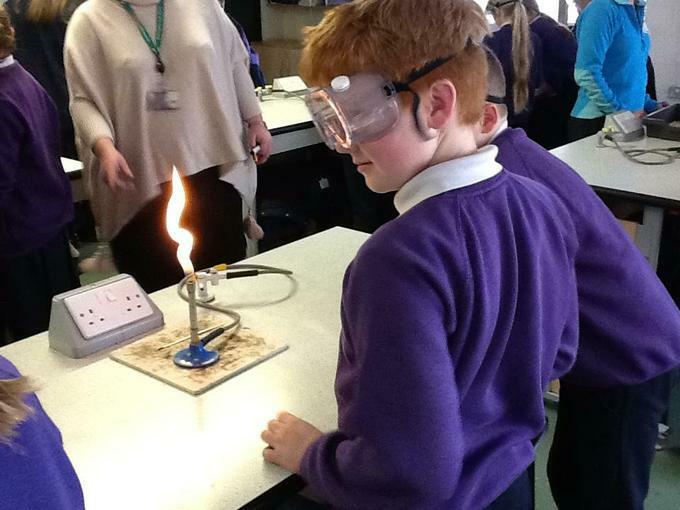 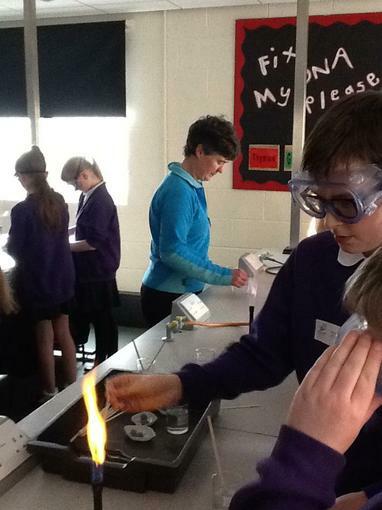 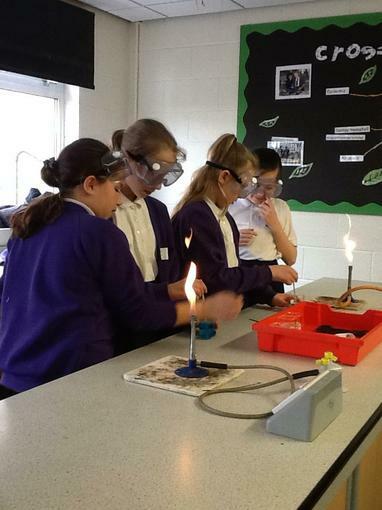 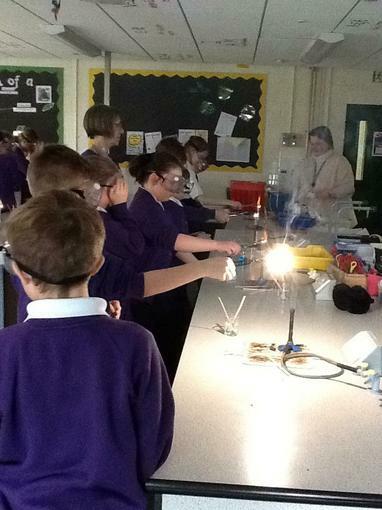 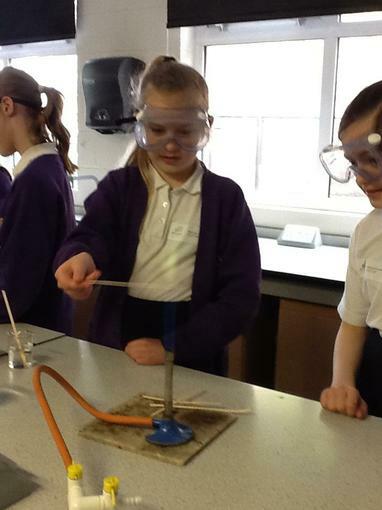 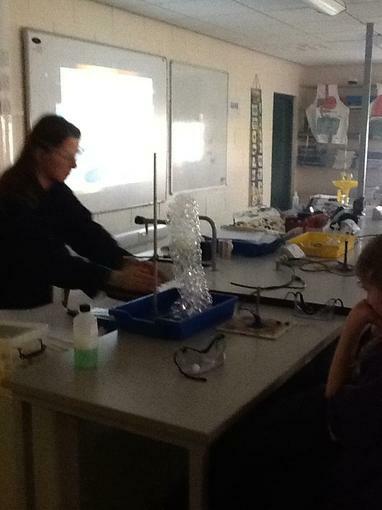 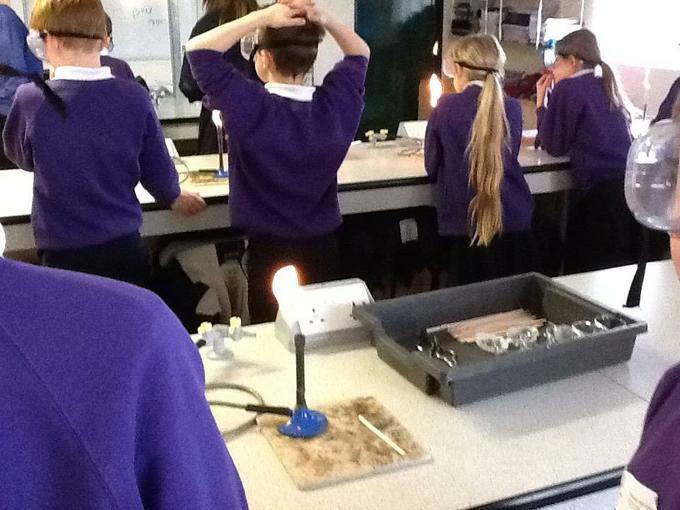 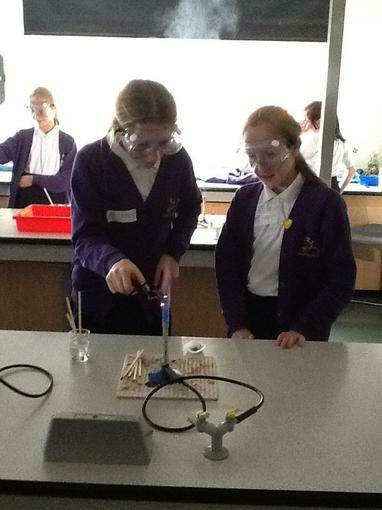 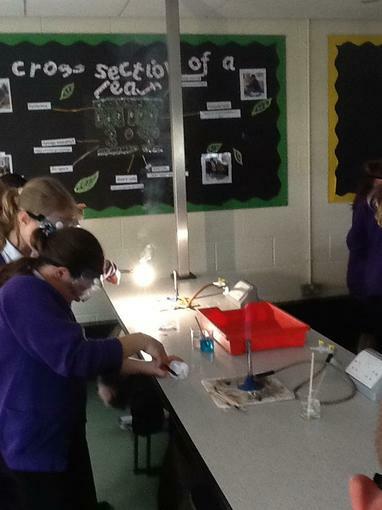 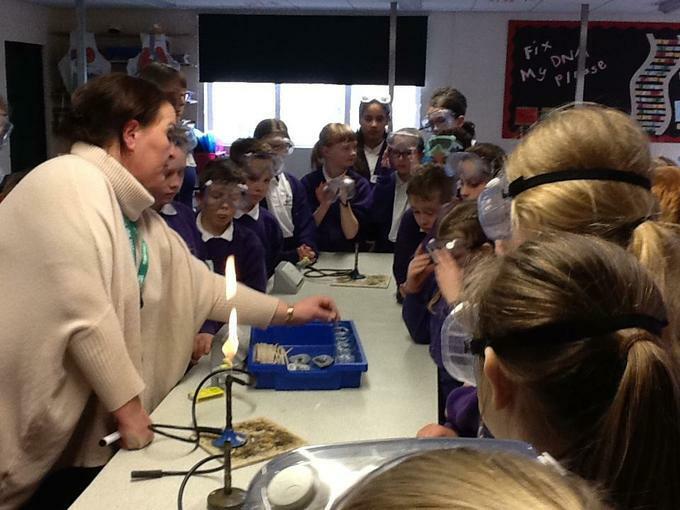 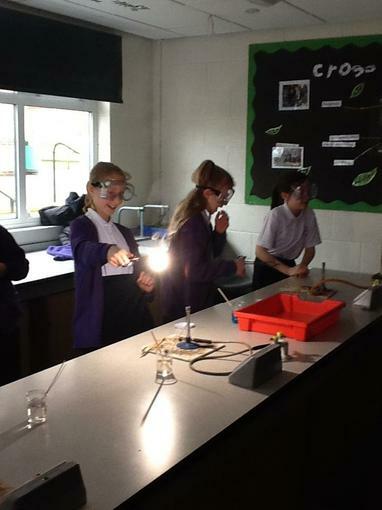 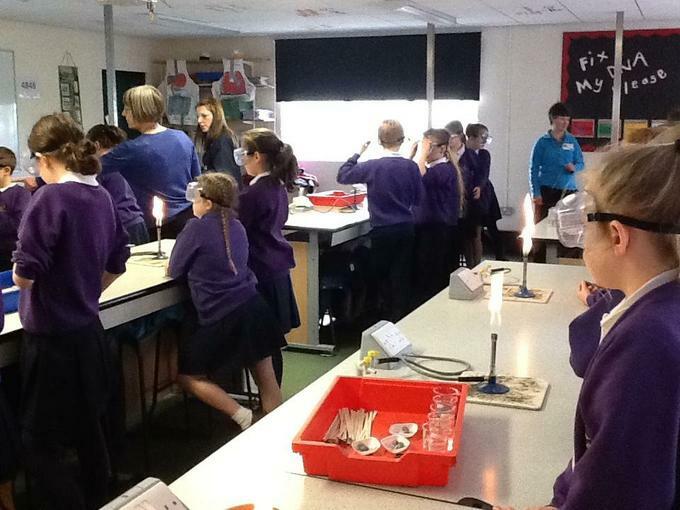 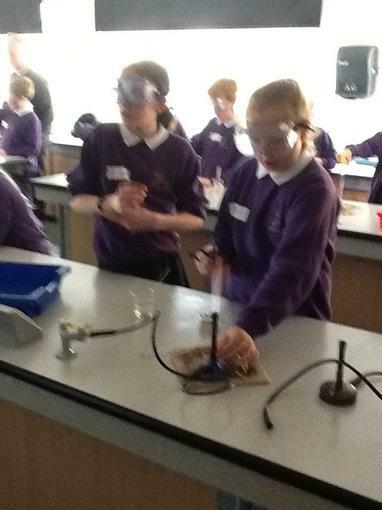 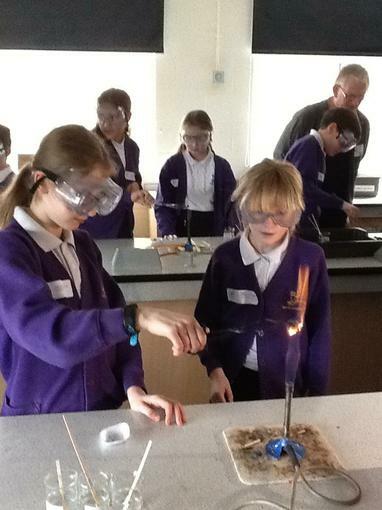 To celebrate Science Week Year 6 visited Ribblesdale High School to learn how to safely use the Bunsen burners. 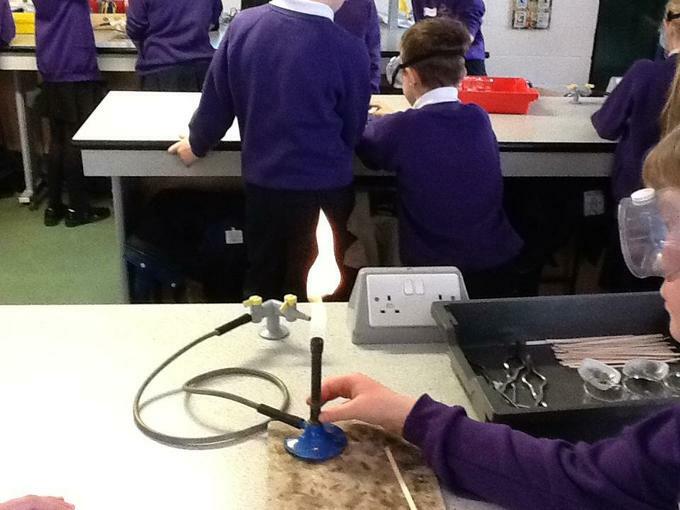 Once we had mastered this we investigated the colours that different metals and chemicals turned into when they were heated with the flame from the Bunsen burner. 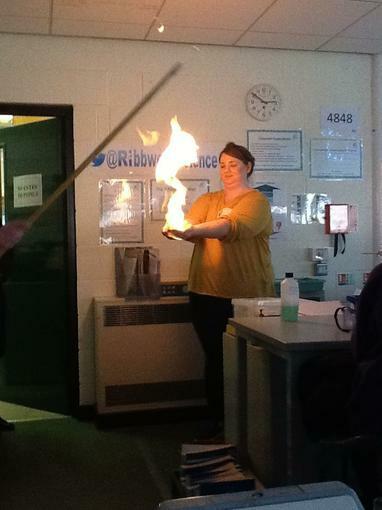 Mrs Atkinson then demonstrated a bit of wizardry when she was able to hold flames without burning her hands! 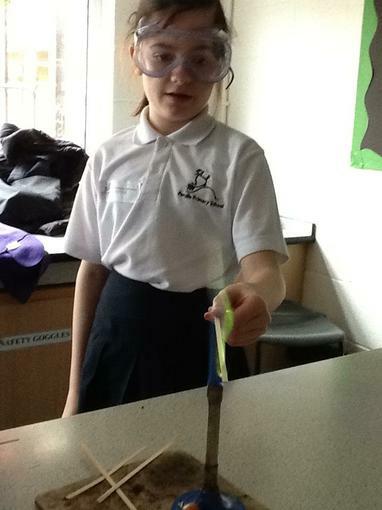 Can you explain how she was able to do this? 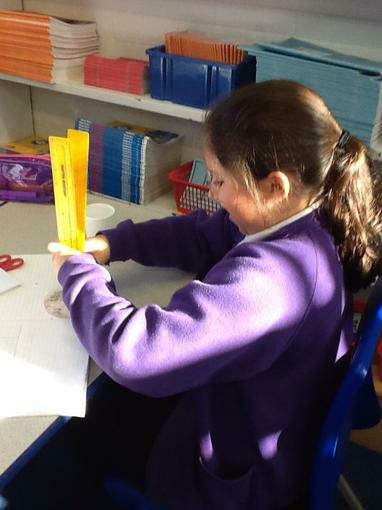 We looked at Darwin’s study of finches. 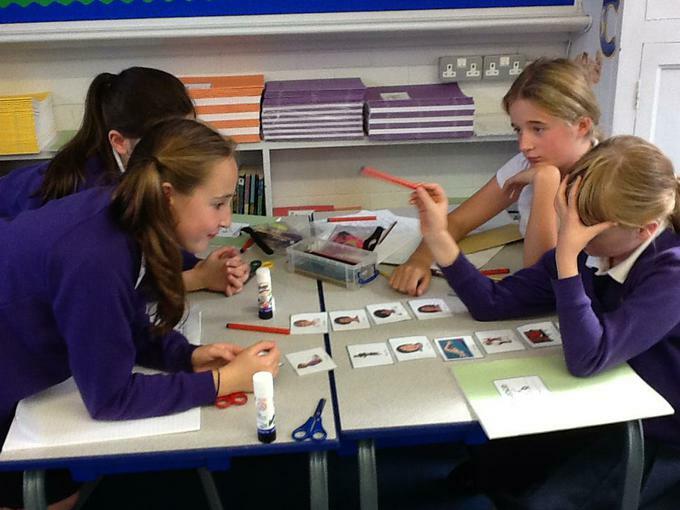 These are the emblems of evolution. 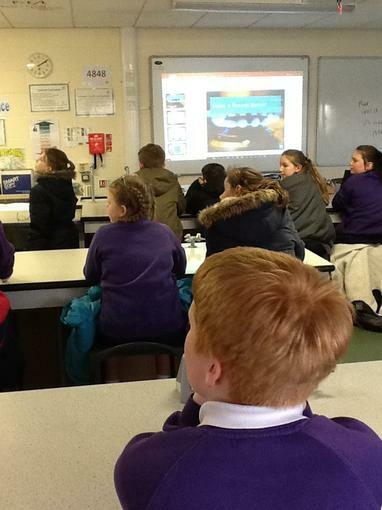 The birds he saw on the Galapagos Islands during his famous voyage around the world in 1831-1836 changed his thinking about the origin of new species and eventually that of the world’s biologists. 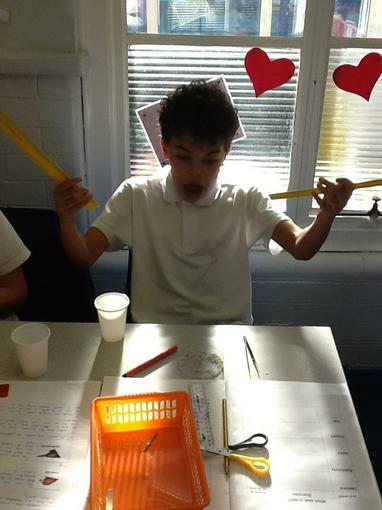 Darwin wondered about the changes in shape of bird beaks from island to island. 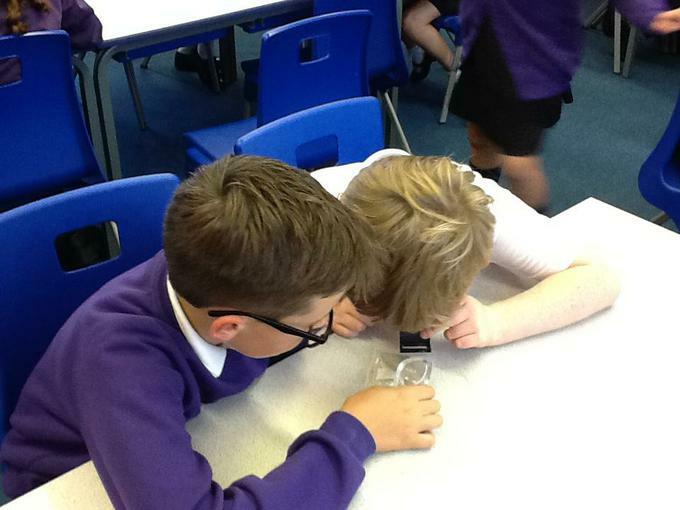 So-called cactus finches boast longer, more pointed beaks than their relatives the ground finches. 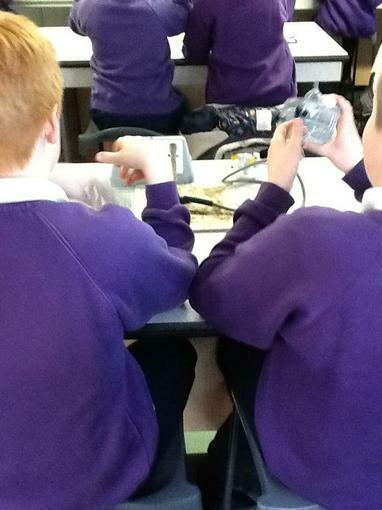 Beaks of warbler finches are thinner and more pointed than both. 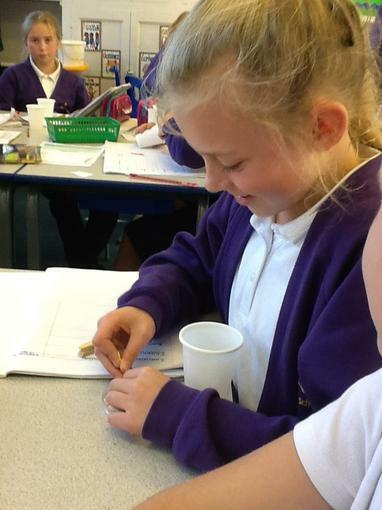 These adaptations make them more fit to survive on available food. 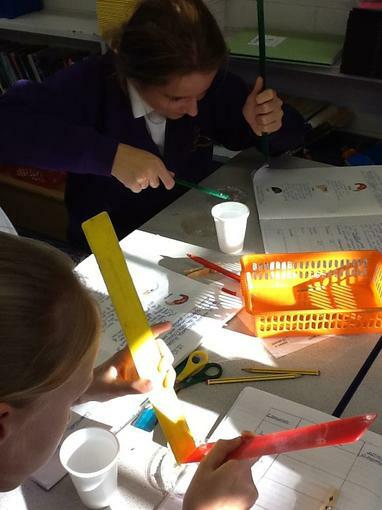 We conducted our own experiment to see which shape of beak was the most successful when catching 'meal worms' (grains of rice). 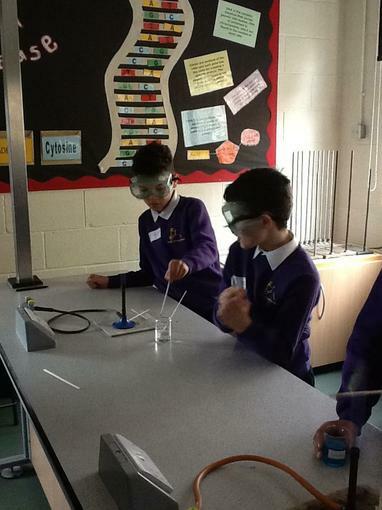 We used a range of equipment to simulate the beaks, tweezers, rulers, matchsticks and scissors. 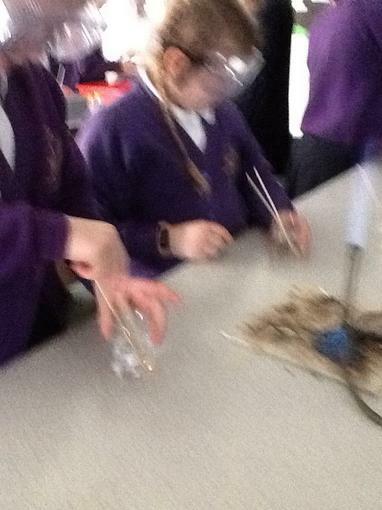 Our task was to catch as many as possible in a set amount of time. 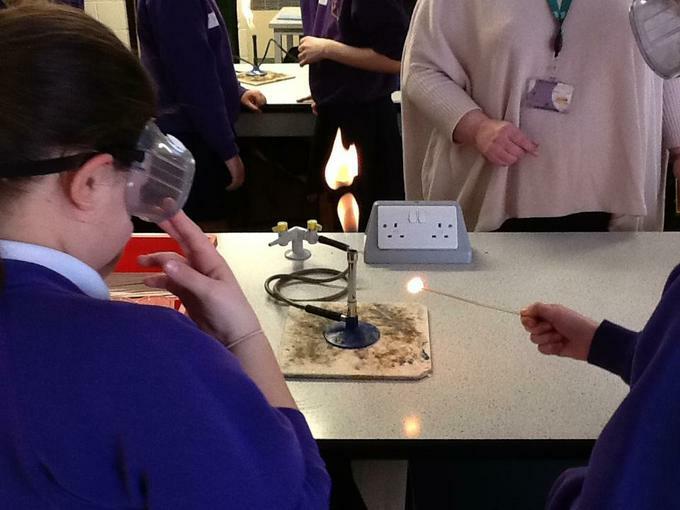 This was a really enjoyable scientific experiment. 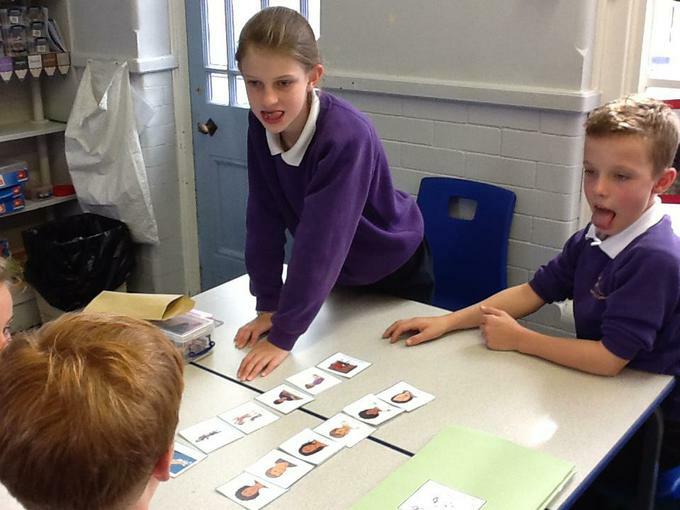 We are studying the topic of Evolution and Inheritance. 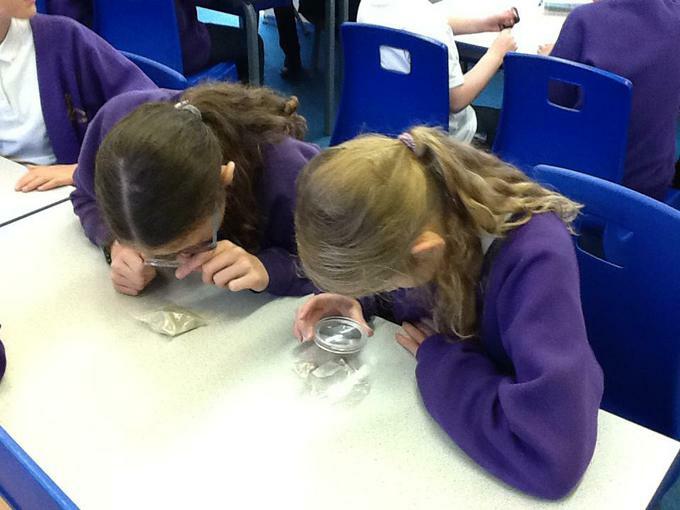 We have been examining Fossils and know that they provide information about living things that inhabited the Earth millions of years ago. 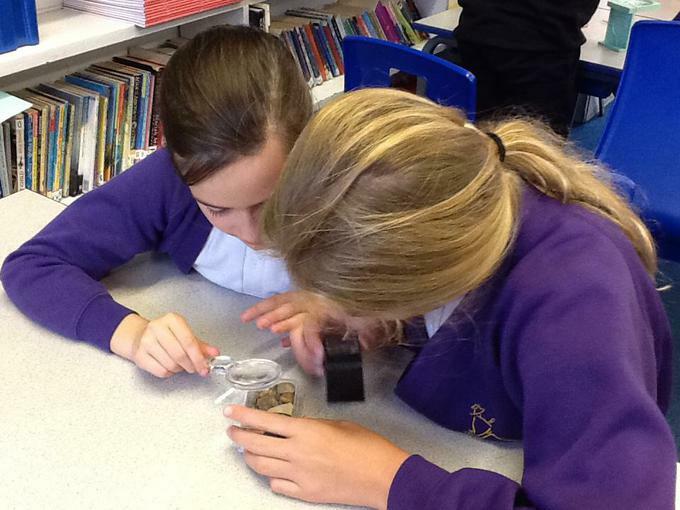 Fossils are the remains of living things which are found in sedimentary rocks. 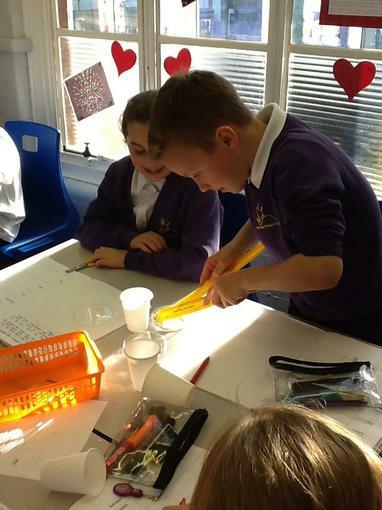 These rocks form in layers so animals and plants can get trapped between the layers. 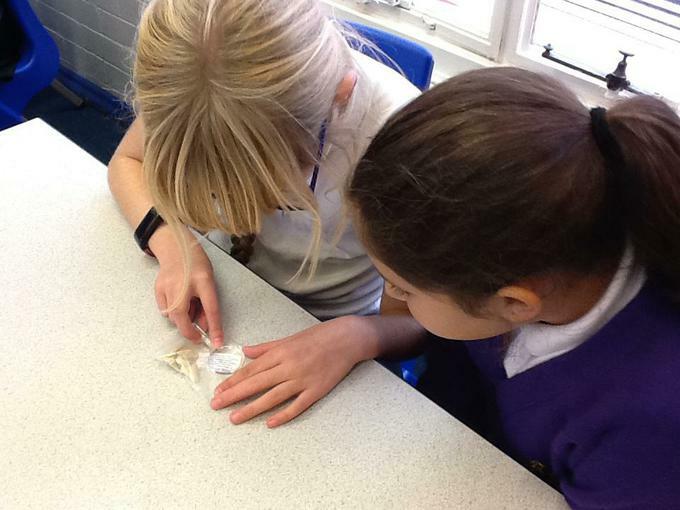 We examined Fossils and focused on the shapes and markings, we used magnifying glasses to look in closer detail. 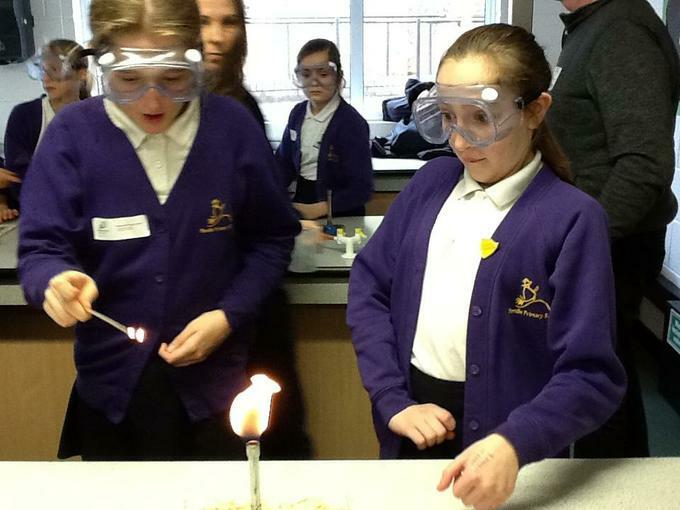 We now know that Inheritance is when something is passed on to the next generation. 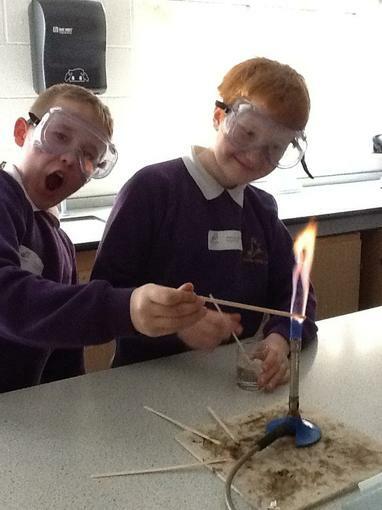 Offspring are not identical to their parents and species change over time. 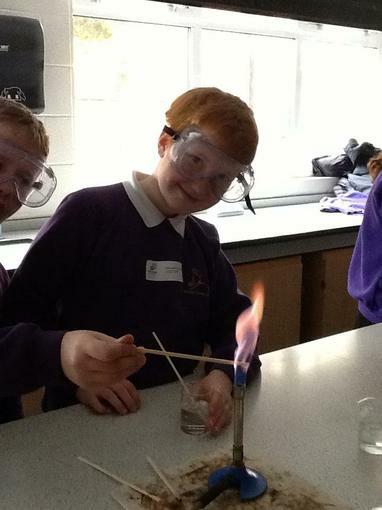 Some characteristics are inherited other differences are new in the offspring. 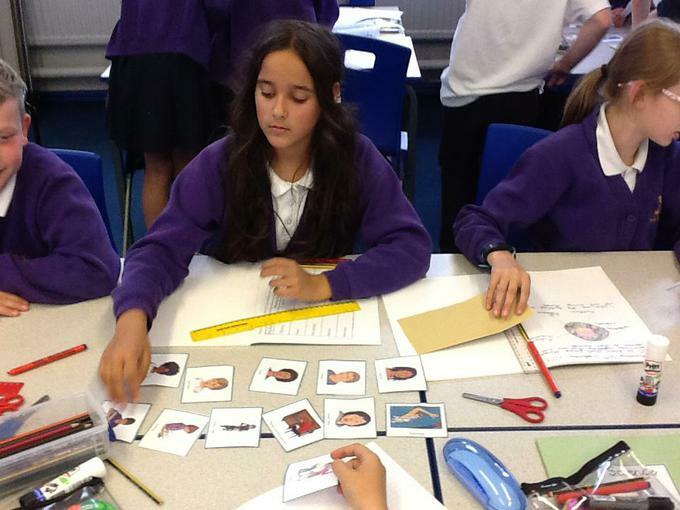 We looked closely at inherited characteristics such as eye or hair colour and those caused by the environment and a combination of both.